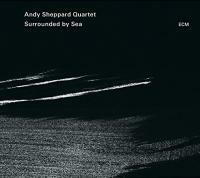 Titre(s)Surrounded by sea / Andy Sheppard Quartet. ContientTipping point. - I want to vanish. - Aoidh, na dean cadal idir (Part 1). - Origin of species. - They aren't perfect and neither am I. - Medication. - Aoidh, na dean cadal idir (Part 2). - The impossibility of silence. - I see your eyes before me. - A letter. - Aoidh, na dean cadal idir (Part 3). - Looking for Ornette. NotesTélérama No.3408 p.60 du 06/05/2015. 4/4. - Jazz Magazine No.673 p.54 du 04/06/2015.